Meet Basilicus Jones. 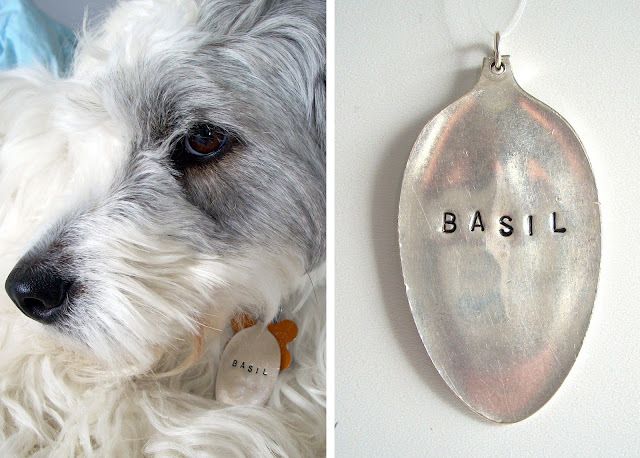 He's a super cute Tibetan Terrier who is also the namesake of BasilicusJones, a rather fantastic Etsy shop (featured last week) that transforms vintage spoons and forks into jewelry or home accessories. 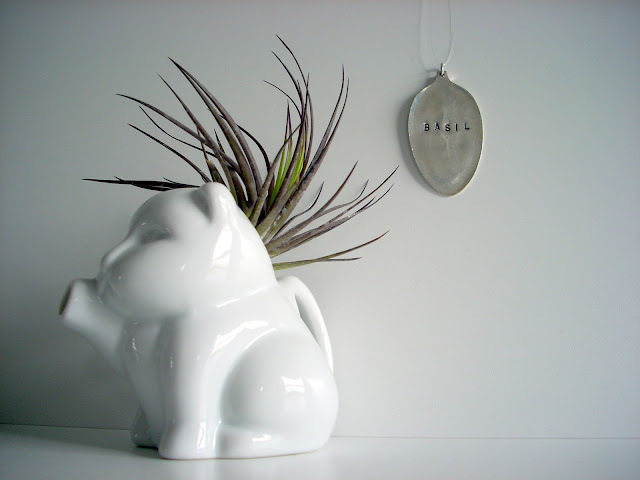 Today, I'm thrilled to announce the shop's April "Like" to win giveaway! 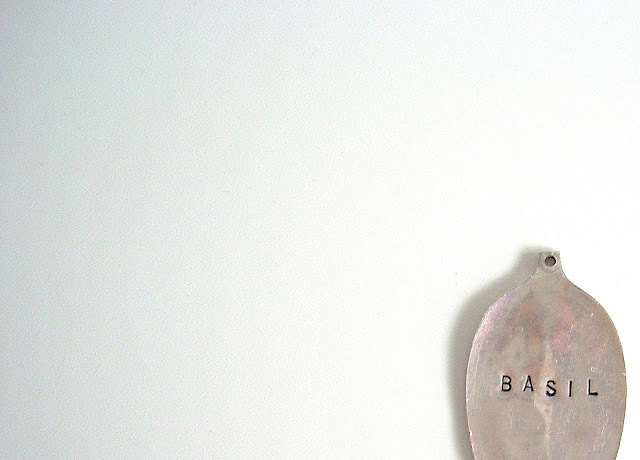 What's up for grabs is this pet collar tag made from a reclaimed silverplate spoon bowl that's been flattened and polished. It can be personalized for up to 2 lines. This is the perfect bling for your dog or cat. To enter, go to BasilicusJones' Facebook page (www.facebook.com/BasilicusJones) and "Like" it. That's all. The contest will run until Midnight (EST), Tuesday, April 5. The winner will be notified shortly after. Details of personalization will be discussed with the winner once the contest is over. Good luck! "He had a rough start, ravaged by infection and neglect, only to grow into a thriving, rambunctious dog. Sure, he's still a bit rough and tumble, but full of life, reclaimed from the disregard of poor ownership, to grow into an inspiration of live."